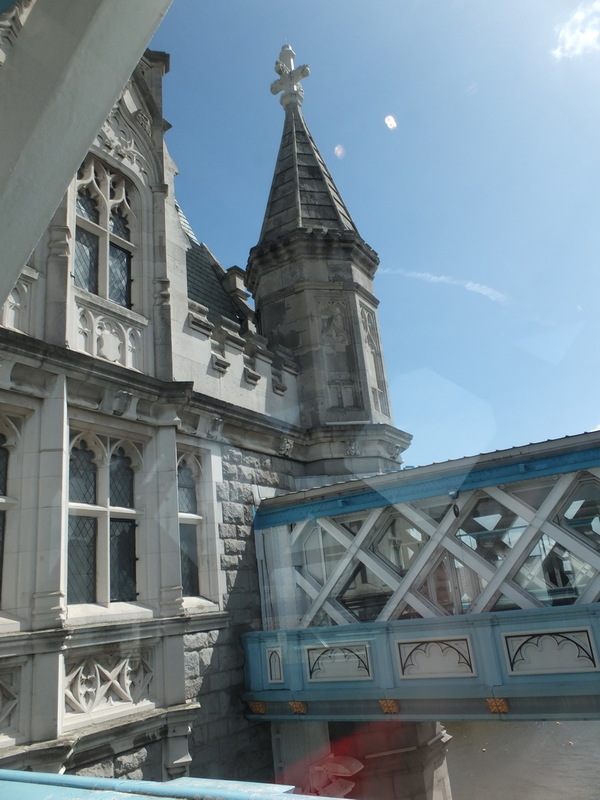 The Tower Bridge is one of the bridges that cross the river Thames in London. 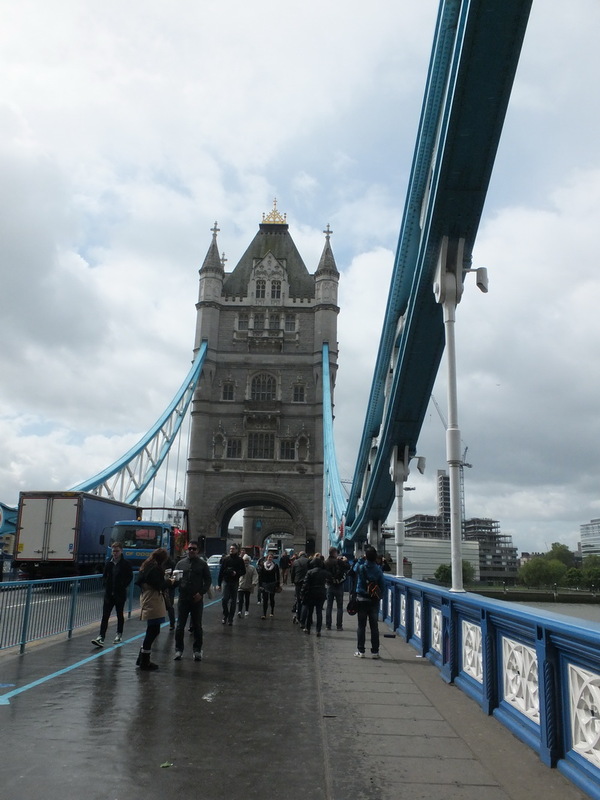 It got its name from the Tower of London, which is in close proximity to the bridge. 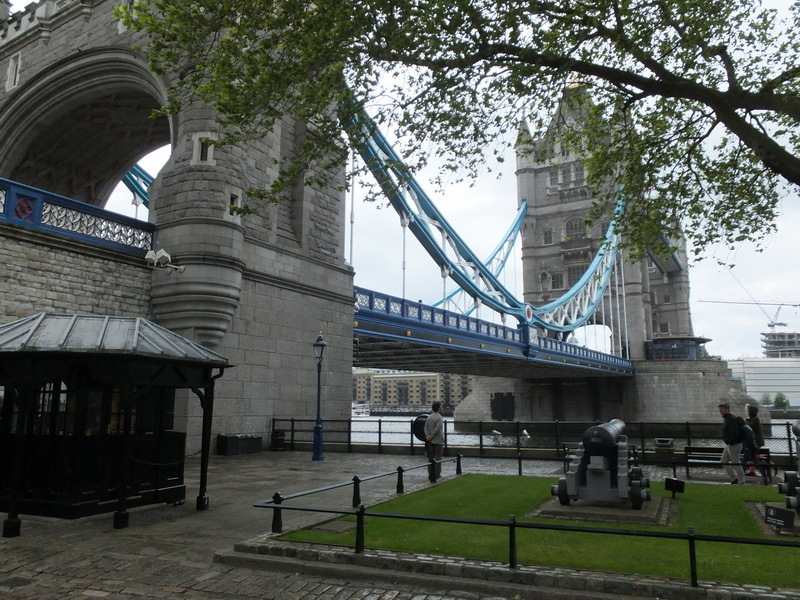 The Tower Bridge used to be the only bridge crossing the Thames in London. Only after the city increased in size, the construction of additional bridges became necessary. The construction of the Tower Bridge was supposed to last for 8 years and the primary goal was not to obstruct ship traffic on the Thames. Two pillars were driven into the riverbed of the Thames to support the construction. Over 11000 tons of steel were used to build the framework for the towers of the pedestrian bridge. In order to keep the Thames open for big ships, massive engines were built into the bridge to be able to open the bascule bridge within only one minute. A truly fascinating bridge. We took the time for a visit to the engine room with the fly-wheels and turbines that are used to open the bridge. We were deeply impressed. Also, the view from the pedestrian bridge high above the river Thames is very pleasant. I highly recommend visiting the exhibition. Admission was free with the London Pass in 2013.